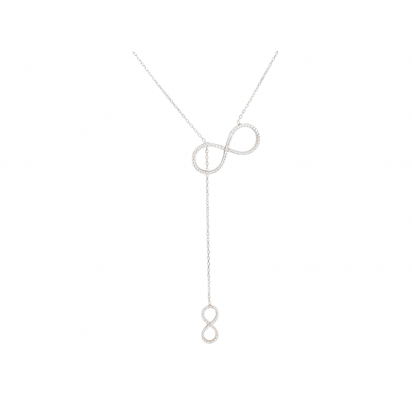 The Elevator collection is an exclusive range of Lariat necklaces. This piece has two infinity symbo.. The Elevator collection is an exclusive range of Lariat necklaces. 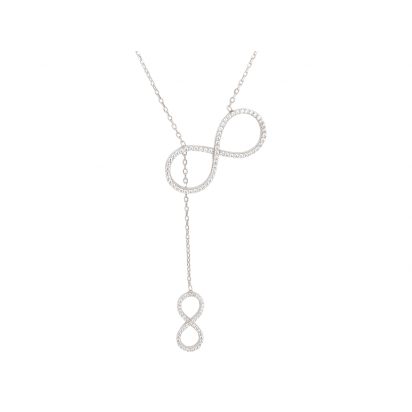 This piece has two infinity symbols, one large and one small, where the main infinity symbol can be moved up or down the chain, giving flexibility to the desired position.